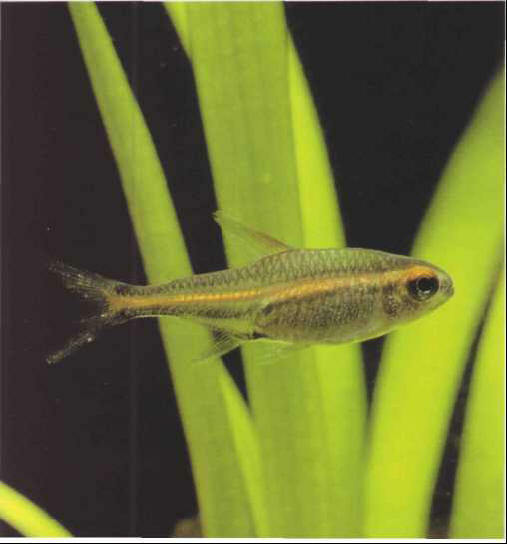 The glowlight tetra will spawn under dim lighting, in soft, acidic water (pH: 6.5). Use peat filtration. A shoal of ten or so of these very tranquil fish produces a stunning effect in a South Americantype tank. Size: 4-5 cm.